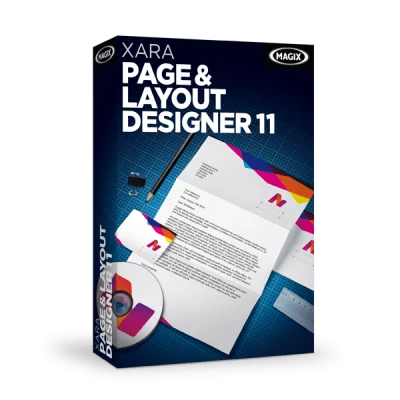 With Xara Page & Layout Designer 11 you can create all the necessary printed material you need – from a logo and business cards to flyers, posters, and brochures. Simply select from one of many high-quality templates and customize to your liking. Detailed settings options: Customize line height and line spacing, or let the text flow along shapes or run over several pages. Optimize your photos in terms of brightness and contrast with a few clicks, adjust the color, and choose a new image detail. 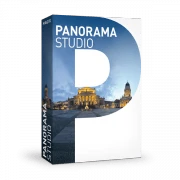 Easily create impressive logos, illustrations, decorative elements, etc. 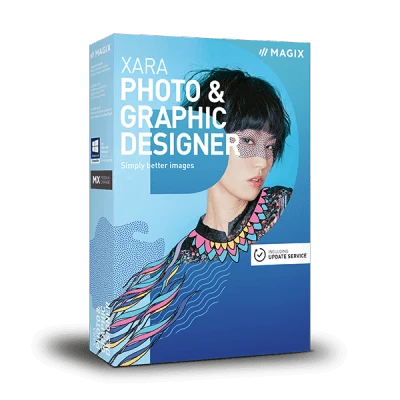 for your designs with the tools for shadows, transparency effects, gradients and even 3D effects. Choose from many high-quality, licence-free template sets for various industries and occasions in the new Online Content Catalog. A set consists of templates for flyers, business cards, and stationary in the same design to give everything a cohesive look. Want to assign exact print colors? You can use the CMYK, HSV, or Pantone color systems for professional printing. These ensure that you get the exact colors you want. Want to have your document printed professionally? You can use standardized PDF/X files to accurately send your files to the print shop. Texts, images, and colors will then be printed exactly the way they looked on your computer.